That’s why I want to say “Bravo” to GENERAL HOSPITAL’s Sonny the Skeptic! He has actually shown signs of learning. Sonny was suspicious of Lucian from the moment Suzanne brought him to the house. His jaundiced eye demonstrates that he paid attention to the usual hijinks in Port Charles; he’s seen characters with secret agendas lie, and he’s familiar with Suzanne’s past cruelty to Brenda (Y’know, all that “letting Brenda think her child was dead” stuff.) His wife wants a kid, and lo and behold, Lucian materializes? Seriously? I would like to take a moment to say how much I am enjoying Bree Williamson‘s depiction of loopy, devil-may-care Tess. I have been critical of ONE LIFE TO LIVE in the past, so it’s only fair that I also point out the good stuff. And Williamson is nothing short of great. I especially love the joy in her eyes as Tess is indulging her inner devil and doing whatever she damn well pleases — acting on every urge as it occurs, and saying whatever pops into her head. Williamson seems to be reveling in playing Tess, imbuing her with a voracious sexuality and making anyone else in the room uncomfortable. I don’t know about you, but in the wake of the second car-bombing in eight months and the recent crash of that ski-trip bus, I’m expecting a boom (too soon?) in bicycle sales in GENERAL HOSPITAL’s Port Charles. I really enjoyed watching ONE LIFE TO LIVE’s Charlie and Echo square off today over her drinking. Charlie decided to stage a one-man intervention near Rex’s sickbed, entreating her to give up the booze for the sake of her son. Or for Charlie, even! Echo was determined to make up for not raising Rex by being a mother to him now. However, the flaw in her plan was that she believed an occasional sip of firewater would be just fine. But Charlie pointed out that if that pull comes from a flask you have to hide, then she has a problem. I joined a couple of colleagues from Soap Opera Weekly to check out the first show of Port Chuck’s 2011 tour, at Studio Square NYC in Long Island City, N.Y., on April 15. 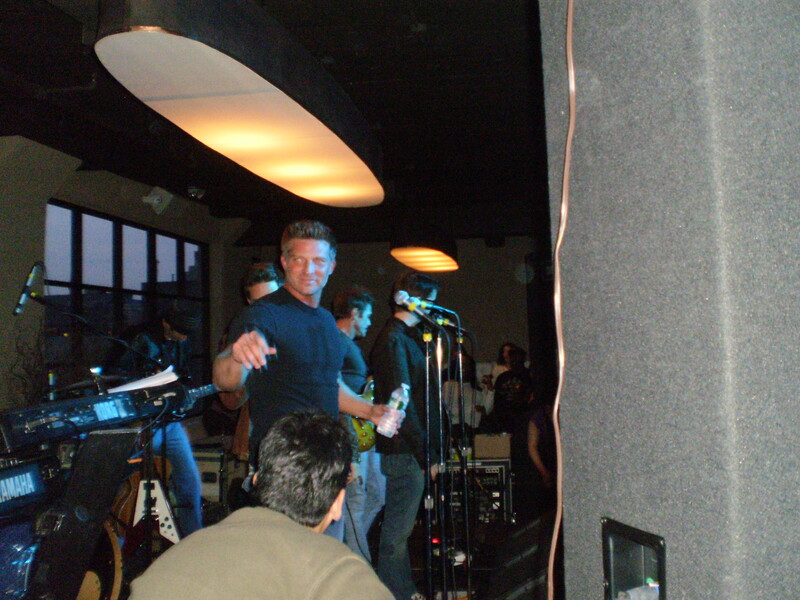 For those of you who don’t know, the band Port Chuck is made up of actors from GENERAL HOSPITAL, including Brandon Barash (Johnny), Steve Burton (Jason), Scott Reeves (Steve) and Bradford Anderson (Spinelli). All the guys sing, and they have backing musicians to fill out the band. Scott plays guitar – and Steve can clang a pretty mean cowbell when he wants to! (Yes, we shouted, “More cowbell!”) Check out my photo gallery after the cut. 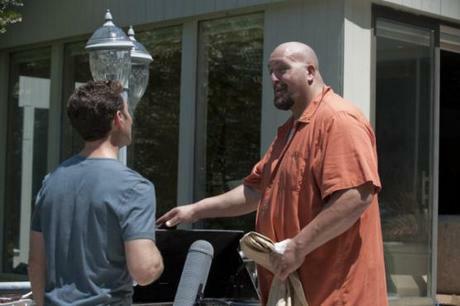 Sure, ROYAL PAINS featured its biggest guest star ever this week – the 7-foot, 485-pound Paul Wight, a.k.a. Big Show of the WWE – but I was more distracted by who wasn’t on the screen very much: Where did Divya go? This second season of ROYAL PAINS is focusing a lot on adding big names: Henry “the Fonz” Winkler is recurring as Hank and Evan’s shady father, Eddie R., and Oscar winner Marcia Gay Harden will be seen periodically as prickly Dr. Elizabeth Blair. And Christine Ebersole’s Mrs. Newberg is also on the scene a lot more lately. Last week, 24’s erstwhile Chloe, Mary Lynn Rajskub, portrayed Mrs. Newberg’s flighty daughter, Blake. Also, AS THE WORLD TURNS’ Marnie Schulenburg (Alison) appeared as Sherrie Tanner, a leather craftswoman (“I’m the only designer on the East Coast specializing in armadillo; it’s my schtick!”) who contracted Hansen’s disease – otherwise known as leprosy – from her own creations. (Get the joke? “Tanner” works with leather?) The soap trend continued this week with Florencia Lozano (ONE LIFE TO LIVE’s Tea) playing Faith, the high-strung sister/business manager of the action-movie star known as the Garbage Man (Big Show).